Preheat oven to 160°C (325°F). Place the mango, linseeds, almonds, ginger, cardamom and ½ cup of the mango nectar in a bowl and stir to combine. Place on a large baking tray and cook, stirring halfway, for 30 minutes. Place the coconut and remaining mango nectar in a bowl and stir to combine. Evenly spread the coconut mixture over the almond mixture and cook for a further 8 minutes or until golden and crisp. Set aside to cool completely. Makes 4 cups. 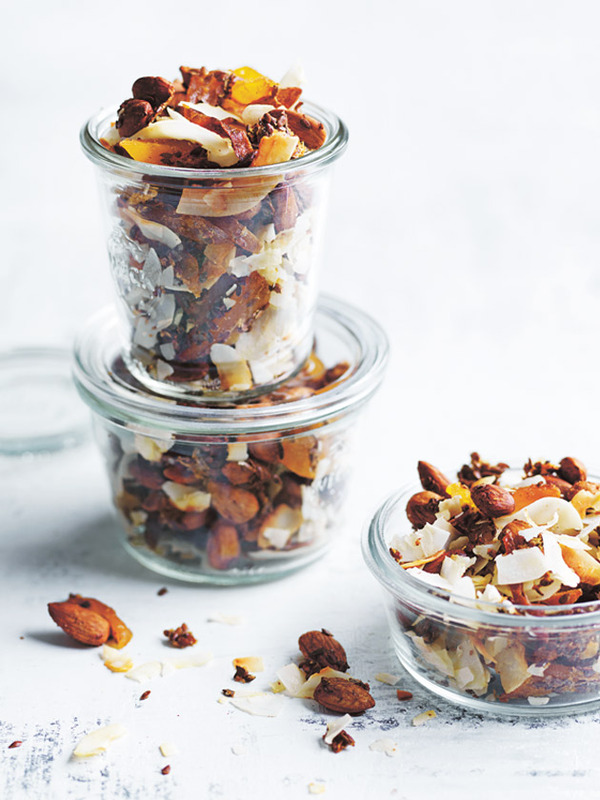 TIP: This trail mix will keep in an airtight container for up to 2 weeks.